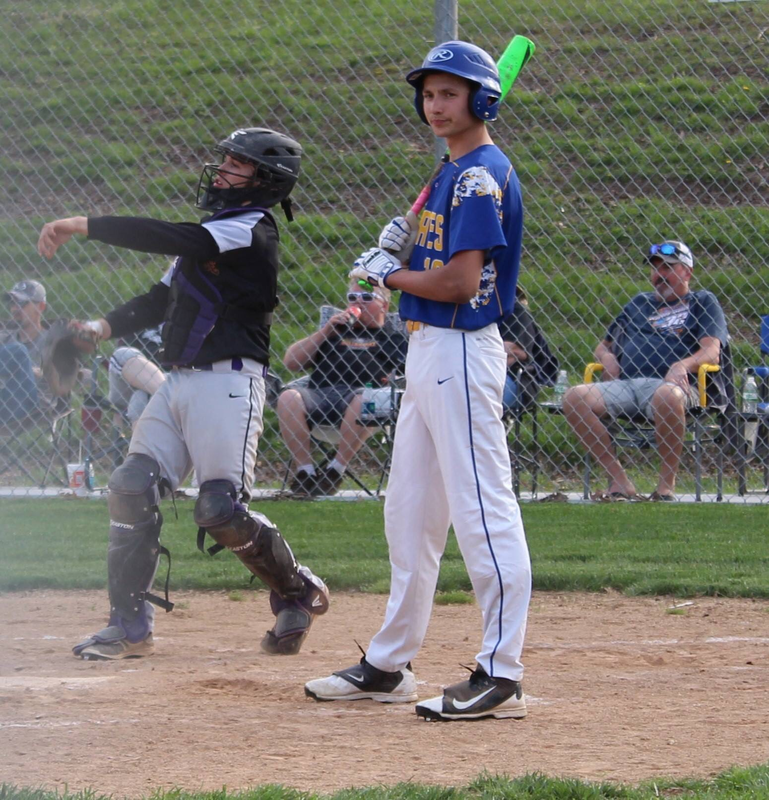 HERMITAGE - Macks Creek took to the road for their third game in two days and came away with a 16-1 win over the Hermitage Hornets in five innings. The Pirates opened the scoring in the top of the first and never looked back. Cole Register was hit by the fifth pitch of the game. A ground out to third saw him motor to third before Hunter Lane drove him in with a double to right-center field. Lane moved to third on a wild pitch and then scored on a passed ball for a 2-0 lead. Hermitage responded with their lone run in the bottom of the inning. Hunter Sanders reached on an error before coming in to score on Justin Mitchell's RBI-double to center. He would move to third when the throw was sent home to try and catch Sanders at the plate. A strike out would end the inning with the Pirates ahead 2-1. Both teams went quietly in the second before the Pirates plated two more in the third. Colten Walter walked and moved up to second on Hunter Lane's fielder's choice to short. Walter and Lane would both steal a base before an errant pick off throw to third allowed Colten to score and Hunter to move to third. Oscar Cortez followed with an RBI-single to left to push the lead to 4-1. Macks Creek would put runners at first and third later in the inning but would not be able to plate any more runs. Macks Creek sent 14 hitters to the dish and plated nine runs in the fourth inning to bust the game open. Grant English led off with his second singled of the game, moved to second on a passed ball, and then to third on a ground out off the bat of Cole Register. Colten Walter followed with a single to left to plate English. He moved to second on a passed ball and stole third ahead of a Hunter Lane walk. Lane would take off for second and create a balk call on the pitcher, allowing him to reach the base safely and Walter to score. Trever Smith followed with an RBI-single to center and he was able to reach second when the ball bounced past the center fielder. Oscar Cortez then hit a ball to short that was misplayed, allowing him to reach and Trever to move to third. Cortez stole second and both he and Smith advanced an extra base, with Trever crossing the plate. Tanner Smith walked and moved to second on a wild pitch. Following a strike out, Zane Whitworth doubled down the right field line to drive in Oscar and Tanner. Zane would steal third ahead of a Grant English walk. Whitworth would come in to score on a wild pitch with Grant moving up to second on the play. He would moved up another base on a second wild pitch before Cole Register batted for the second time in the inning and drew a walk. Following a stolen base, Colten Walter collected a second single, this time up the middle, to drive in both Grant and Cole. Hunter Lane would single in the inning to move Walter to third. Lane moved to second on the throw to third base. A ground out ended the inning with the Pirates holding a 13-1 lead. Three more runs would come in for the Pirates in the fifth. With two outs Carsen Strutz walked. He moved to second on Zane Whitworth's single to left and both runners moved up on Grant English's infield single to short. On the play, the late throw to first bounced past the first baseman, moving Strutz across the plate and the other two runners to third and second respectively. Pinch hitter Keith Edelman collected his first Varsity hit when he singled up the middle to score both Whitworth and English to create the 16-1 score. A strike out ended the frame and the Hornets would go 1-2-3 in the bottom of the fifth. "Offensively we got back into a little bit of a groove tonight and Cole did well for us on the hill," said Macks Creek Coach Jason Trusty. Cole Register (1-0) picked up his first win of the Spring with his four innings of work. He allowed an unearned run on one hit while striking out eight. Grant English made his Spring debut on the mound and struck out two of the three batters he faced. Matthew Horn started and took the loss for Hermitage. He worked the first two-and-a-third innings, allowing four runs, two earned, on three hits while striking out four, walking two, and hitting two batters. Rory Higgins relieved and worked two-thirds of an inning, surrendering five runs, three earned, on three hits while walking one. Blake Ball relieved and worked one-third of an inning and allowed four runs, three earned, on two hits while striking out one and walking three. 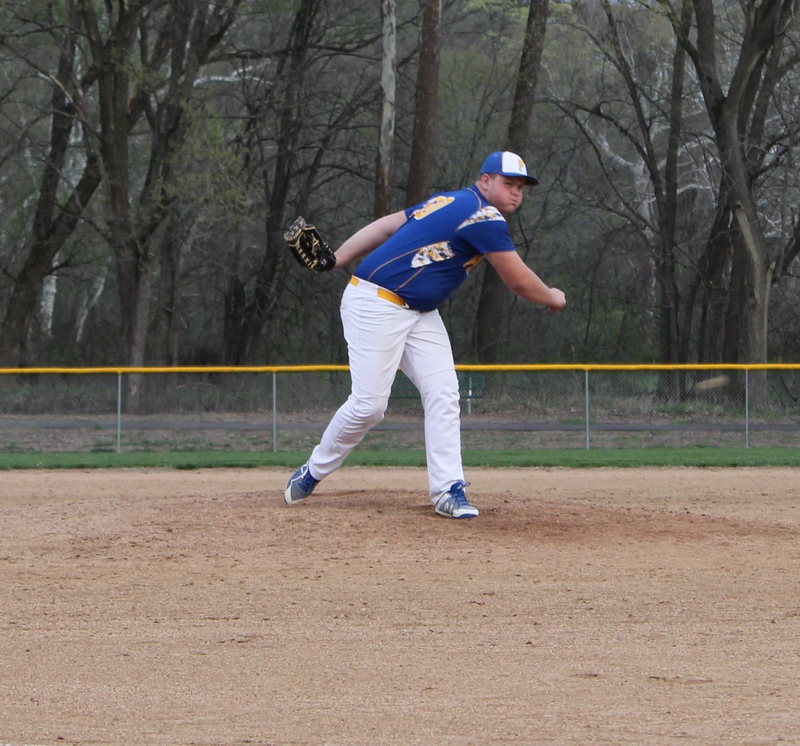 Wyatt Mooney worked the final one-and-two-thirds innings and was touched for three unearned runs on four hits while striking out one and walking one. Macks Creek banged out 12 hits on the night offensively, with Grant English leading the way with his three-for-three night. He singled three times, walked once, and scored three runs. Hunter Lane and Colten Walter each went two-for-three. Lane doubled, singled, reached on a fielder's choice, walked, had an RBI, and scored three runs while Walter singled twice, walked once, had three RBI's and two runs scored. Zane Whitworth singled and doubled in his four trips to the plate and also scored two runs to go along with two RBI's. Trever Smith singled in a run and scored, Oscar Cortez walked, singled in a run, reached on an error, and scored once, and Keith Edelman singled in two runs in his only plate appearance. Cole Register was hit-by-a-pitch, walked, and scored twice, Tanner Smith was hit-by-a-pitch, walked, and scored, and Carsen Strutz reached on a fielder's choice, walked, and scored a run. For Hermitage Justin Mitchell doubled in a run and singled to lead them offensively. Hunter Sanders reached on an error and scored the lone run for the Hornets. Macks Creek improves to 6-3 while Hermitage falls to 2-7. 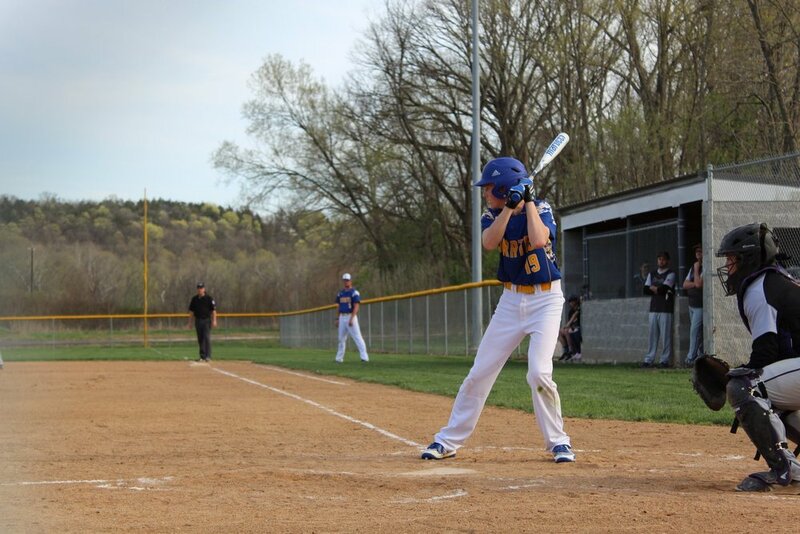 The Pirates are off Wednesday before traveling to Climax Springs on Thursday and Walnut Grove on Friday. The JV Pirates fell by the score of 6-5 in the night cap. Bobby Swann started and took the loss. He worked two innings and allowed six runs on two hits while walking three and hitting one batter. 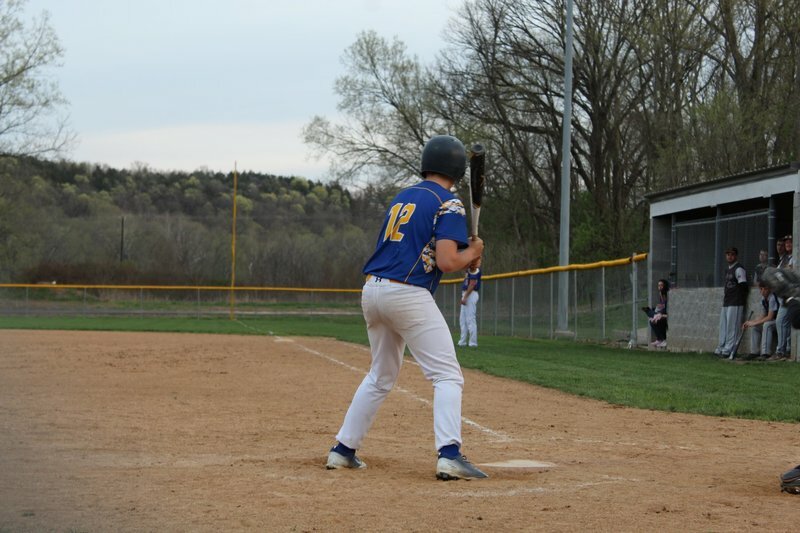 Preston Borgmeyer singled twice, scored twice, and had an RBI to lead the offense. Grant English walked, singled, and scored, Isaiah Schmidt walked and scored, Zack Wallace reached base on an error and a walk, Keith Edelman singled in two runs and collected a third RBI on a ground out, and Bobby Swann singled and scored. The JV Pirates are now 0-3 overall.